When I saw the trailer for this film and that Bruce Willis was in it, I assumed it was simply another in a long line of fall action pictures that he has been in for the last few years; “Surrogates” and “Red” come to mind. They are enjoyable pictures and sometimes have something going for them, but the expectations are not really great. It did not bode well that it would be Joesph Gordon-Levitt’s third or fourth film of the summer. Sometimes an actor gets hot and then the market gets over-saturated with product that has been around but was not on the front burner for the studio (Jennifer Lawrence in “House at the End of the Street”). So while I expected to see this, and liked the idea of a science fiction action film with Bruce Willis, I did not highly anticipate it. I was not looking for blogs that discussed it, I did not seek out clips that would shed light on the story, and this weekend, I did not read any reviews of the movie. For that I am truly grateful. This is a film where a minimal amount of information is needed before seeing it and anything more would spoil it. If you are planning on seeing this, stop reading now and come back after you are done and we can compare notes. I won’t be giving up any plot points but by necessity, I will have to reveal a couple of tonal changes that occur in the movie and you should not be sitting there waiting for them. This may be my favorite film of the year so far. It was intricately plotted, well acted, brought to life in a coherent manner and made me want to see it again immediately. The title of the film gives away some of the issues the story is concerned with. Are we in a perpetual loop of inevitable history or can we change it? Every Science Fiction film that has used time travel as a theme is ultimately faced with these kinds of questions. The first time I remember seeing this used as a plot point was a “Twilight Zone” episode with Russell Johnson (The Professor from Gilligan’s Island) in a story attempting to stop the assassination of Lincoln. It has been used for serious dark stories like the “Terminator” series and for light comedy in the “Back to the Future” trilogy. 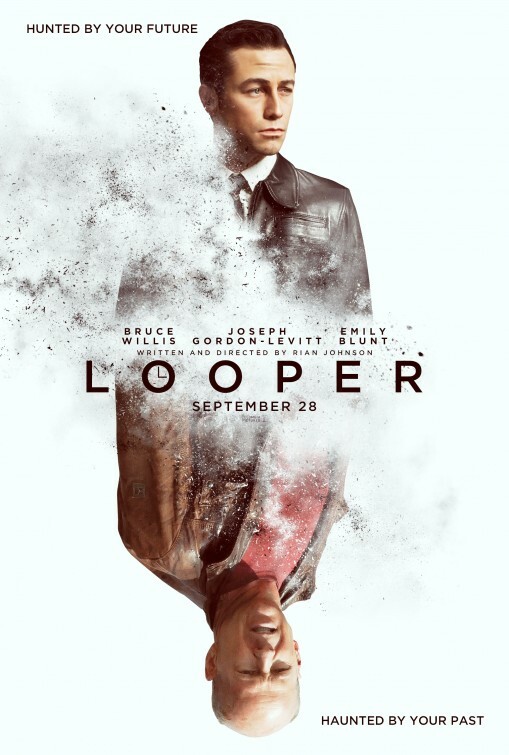 “Looper” is concerned with both the possibilities of changing the past to alter the future and the morality of taking any action that may potentially alter the future. From the start of the movie and in the trailer, we learn that Time Travel is being used for criminal purposes of the worst kind. The limits that have been placed on the technology make it perfect for a particular kind of murder and apparently not much else. This is a plot issue that jumps up immediately and if you can accept the premise than the story should work. If you start exploring other possibilities and seeing the holes in the set up, everything else is going to fall flat. Fortunately, the fast pace of the story at the beginning steam rolls us along and before you know it you believe the circumstances. Without going through all the characters and plot points, I want to point out how well the film works as an entertainment. So many movies these days are cookie cutter versions of a story that there is not much suspense and certainly no surprise in the outcome. I often feel like a product on an assembly line, waiting for the next standard piece to be added. Many film makers have attempted to maneuver around this by placing surprise twists into stories where the twists are either not really surprising or are simply implausible. “Looper” manages to constantly throw in another element or plot point that makes us reconsider our position as an audience repeatedly. It does this without resorting to cheats which have no connection to the story as set up. The movie it most reminded me of is not “Inception” which I can imagine many will compare it to, but “Memento”; interestingly both of those films came from Christopher Nolan and one of them featured the star of this movie. It is not that the writer/director Rian Johnson is stealing from Nolan, it is simply that the emotional depth of the characters as revealed by the passage of time is so similar. I thought “Inception” and “Shutter Island” were basically the same plot and starred the same actor. This movie feels distinctive and smart, without becoming overly enamored of the lead character. Stories in movies need compelling characters to motivate us to watch. Usually we like the heroic but sometimes we will live with an antihero. 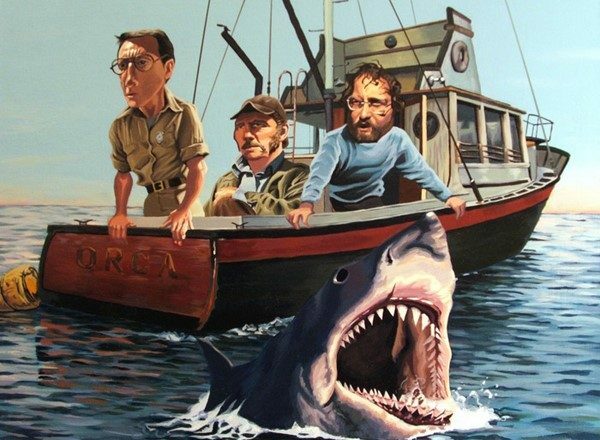 Straight villains as lead characters have worked but in my opinion only in rare cases. “Sin City”, another Willis film, is an example of a movie I disliked because not a single character felt worthwhile to me. At first I was afraid that was what was going to happen here. “Joe” the main character, is a murdering drug addict who only cares for himself and the criminal life he has acquired. We are not given any interesting back story, he does not possess a personality that we can latch on to (like any of the irredeemable but interesting characters in a Tarantino film). His life is on a downward, nihilistic spiral that no one would want to watch for two hours, regardless of the action in the movie. We get a brief summary of that life in a montage of events that sets up the older Joe’s function in the film. It is with the introduction of the older version of Joe, that the character starts to develop into something we can care about. Our point of view about the two versions of Joe, shifts from loyalty and admiration towards one and then back again. The story is about redemption and what a person is willing to do to gain that redemption. It gets a lot darker than a science fiction film might be expected to do. Midway through the film, there are some dramatic shifts in the story and the focus of the film changes in very noticeable ways. As I was watching, I almost felt as if I was watching a reel from another movie, accidentally inserted into this film. Of course it does start to connect all the threads of the story together and bring back into focus some of the ideas that were presented in the early part of the film. New characters appear, and there is a reason for their presence. They add a personable dimension to the movie and at the same time begin to bring in the real issues that the story is grappling with. In the long run the story is not about the survival of the two versions of Joe, but rather it becomes about which version of the redemption story is going to prevail. I liked the questions the movie wants us to ask ourselves and I like the solution that we get as the future is being revealed to us. All of this might sound a bit mysterious if you are reading this before seeing the film. I know that might be frustrating so let me get to the hard stuff that everyone can appreciate. The action in the movie is well staged and easy to follow. The actors do a fine job selling the character they are playing at the point they are supposed to be playing them. There are some good science fiction elements that do not strain credulity but actually feel as if this might be a world toward which we are slipping. The technology is not over the top and mostly exists to service story points, sometimes it is not even referred to or explained. The two leads are excellent and it is definitely Joseph Gordon-Levitt’s movie, but Bruce Willis has his best dramatic role in years and he runs with it. There is a quality in his version of Joe that reminded me of his lost soul in “Twelve Monkeys”. He is still a tough guy, but the certainty of his moral position is never entirely clear. There is quite a bit of violence to go with the ideas and it is often brutal. When we see how the crime lord in the present manages to get an escaped looper from the future back in line, it is horrifying and brilliantly realized. I think I need to see it again to make sure I really saw everything I think the movie put into my head. It may be that my mind was working out things so much that I just created my own justification for the movie. Of course I don’t think that is a bad thing. Thanks for reading; you liked this far more than I did; it is clever but the JGL-as-Willis distracts. Write on!